Quantum Success is a place to get informed and inspired on how to know yourself and your life as unlimited. New York Times bestselling author and Master certified Law of Attraction coach will inspire you on subjects relating to manifesting, universal laws, and creating your desires. She will give you practical, real life stories and action steps as well as interview inspiring people that have created Quantum Success in their lives. 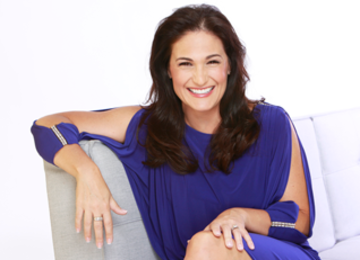 Christy Whitman is a Transformational Leader, Celebrity Coach and the New York Times Bestselling Author of The Art of Having It All. She has appeared on The Today Show and The Morning Show and her work has been featured in People Magazine, Seventeen, Woman’s Day, Hollywood Life, and Teen Vogue, among others. 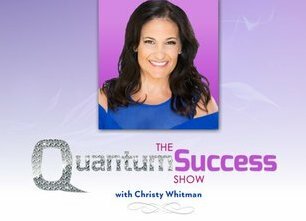 Christy is the CEO and founder of the Quantum Success Learning Academy & Quantum Success Coaching Academy, a 12-month Law of Attraction coaching certification program. Christy has helped thousands of people worldwide to achieve their goals through her empowerment seminars, speeches, and coaching sessions and products. Christy’s life-changing message reaches over 200,000 people a month and her work has been promoted by and featured with esteemed authors and luminaries such as Marianne Williamson, Dr. Wayne Dyer, Marci Shimoff, Brian Tracy, Neale Donald Walsch, Abraham-Hicks, and Louise Hay. She currently lives in Arizona with her husband, Frederic, and their two boys, Alexander and Maxim.